So, I’ve had this top coat for a few months now but I haven’t really tried it until a few weeks ago. What a shame, because I really like it! 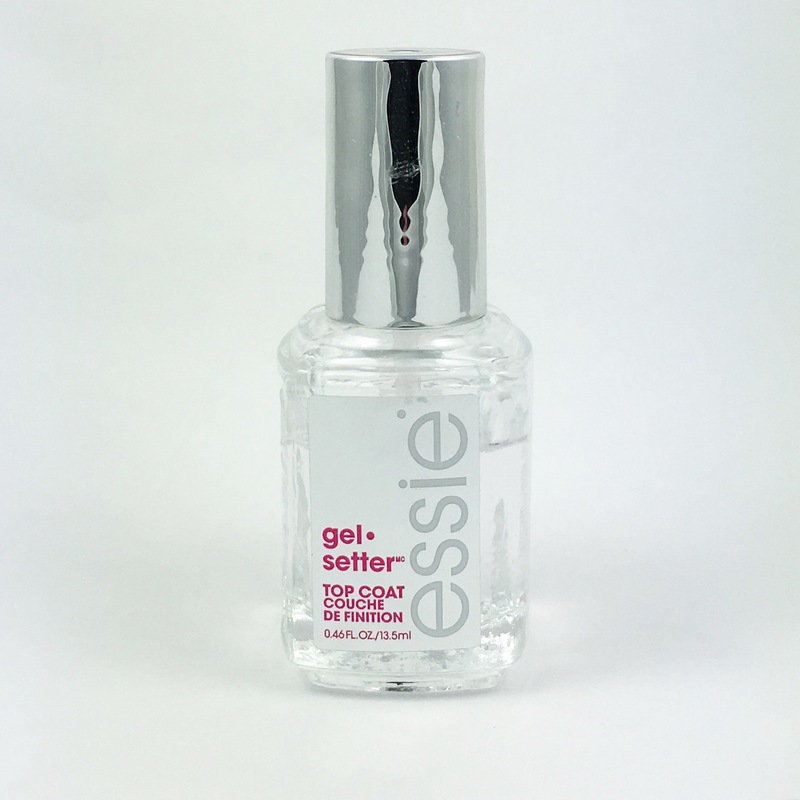 Essie’s Gel setter is a top coat that has a gel-like finish. It dries fast and super shiny. Even though it feels a bit thicker than a regular top coat it is still easy to apply. Many fast drying top coats shrink the polish when they dry, but not this one. There is only one thing that I don’t like with this top coat, and that is that it sometimes gives a lot of bubbles when it dries. I still haven’t figured out why it does that, so I’m still working on it. Anyway, I wore a mani topped with this polish for three days and they were still super shiny, like if they were just polished, and they had no signs of chipping. I think that’s pretty impressing! If I hadn’t gotten tired of the mani I would’ve worn it longer. Sad to hear about the bubbles – I hate those (on my nails)! How or rather _when_ do you apply the gel setter top coat? Directly when the polish below is still wet or do you wait for some/many minutes? And how fast does it dry (I’m not a fan of sheet marks either) compared to SV?